“She also checks in on me practically every single day even though she’s due to have a baby any day now! These are all things that I have said about my most recent health and wellness coach Kylie Anderson to some of my closest friends and family members. And quite frankly, I’ve said very similar things about many other coaches that I’ve had. Throughout my experience with coaches I have gained clarity, focus, and direction – all values that I consider exponentially more valuable than the actual cost of the sessions. Similar to my experiences with Kylie, I recently did some brief coaching with Rachel MacDonald, creator of the now famous Bright-Eyed and Blog-Hearted e-course. As a wildly successful business owner and soulful woman, she was able to provide me with effective strategies to helping my own blog bloom. Both ladies have served as testament to the benefits you can receive from a loving and supportive connection with a coach. 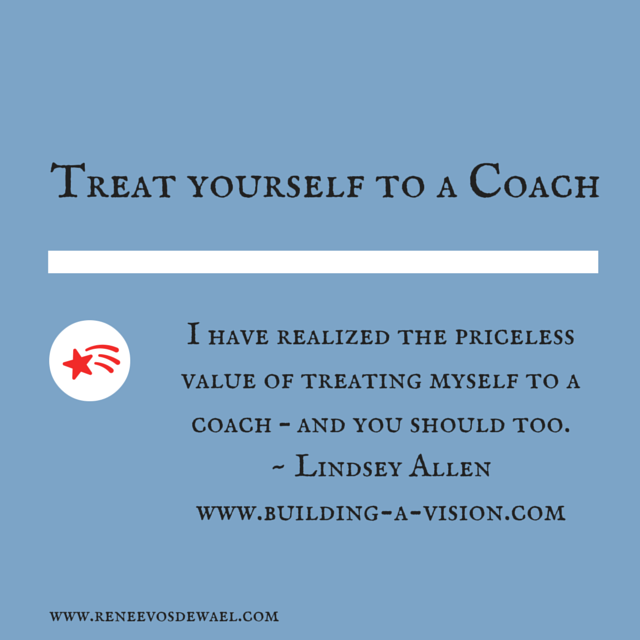 Both Kylie and Rachel were not my first, nor will they be my last coaches because I have realized the priceless value of treating myself to a coach – and you should too. Ideally, it would be within all of our financial means to constantly have a coach within our personal arsenal of personal development tools. Nonetheless, hiring a coach is one of the most positive and beneficial things you could do for yourself. (It certainly has been for me!) From Skype sessions to email support, they’re available and committed to helping you achieve whatever it is that you want to achieve. Besides the fact that now you can hire a coach for practically any area of your life that you may need support in. Life coaches, health and wellness coaches, spiritual coaches, intuitive coaches (like Renée), professional coaches, blog coaches, social media coaches – the list of specialty areas is endless! So go ahead. Treat yourself to a coach. Find the one that perfectly suits your needs and send them an email. I promise you the changes that you will see in yourself will more than justify the money and time that you will be spending. 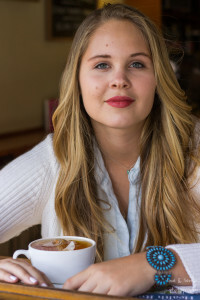 Lindsey Allen is the voice behind the blog Building a Vision (www.building-a-vision.com), a soul-fueled lifestyle blog. The name, Building a Vision, represents her growing, increasing, or building of knowledge, experience, perspective, or vision. It’s constantly evolving and growing just like she is. Lindsey is a California native and is also currently studying psychology at a university on the central coast of California. Through her studies, she’s discovered the many benefits of personal investment and growth. 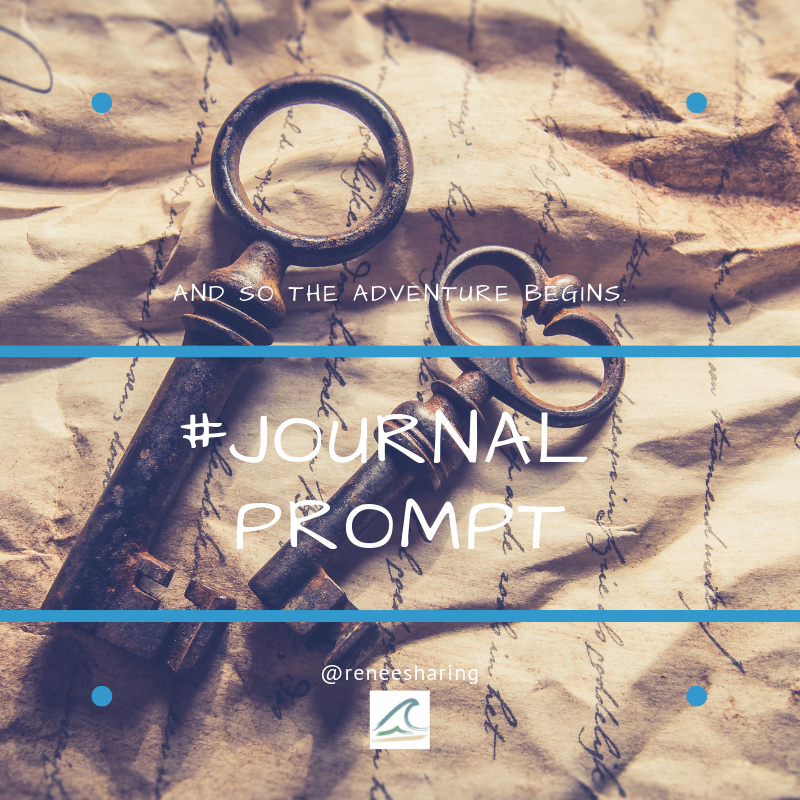 This entry was posted in Personal development and tagged blog, Bright-Eyed & Blog-Hearted, Building a vision, Change, Coaching, emotions, Finding Yourself Through Intuition, good vibes, inspiration, intuitive, life, Lindsey Allen, personal development, Personal Growth, reflections. To the far corners I did roam, but I’m glad to say I’m coming home!